Have a Unique Hawaii Experience in Lahaina - Lahaina is located on the west coast of Maui, which means that it sees warm weather and blue skies all year long. And while you will certainly get the full Hawaiian experience here, Lahaina also has some unique surprises that make this destination truly one of a kind. 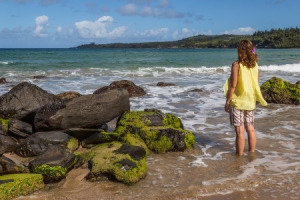 If you are looking for your next Hawaiian getaway that is a cut above the rest, consider renting a beach house in Lahaina. Learn more here! New to Rental Program Book Early For Best Deal! Sprawling Plantation Style House on World Famous Front St!! Have a Unique Hawaii Experience in Lahaina - Lahaina is located on the west coast of Maui, which means that it sees warm weather and blue skies all year long. And while you will certainly get the full Hawaiian experience here, Lahaina also has some unique surprises that make this destination truly one of a kind. If you are looking for your next Hawaiian getaway that is a cut above the rest, consider renting a beach house in Lahaina. Lahaina was once the capital of the Kingdom of Hawaii. It eventually became the center for whaling. Now, instead of whaling boats, down the shore from your beach house rental you'll find pleasure crafts ready to take you on a fishing expedition or tour of the waterways. Lahaina Harbor is a historic site where illegal ships used to dock, so there are many interesting stories to learn about as you explore this area. Today, the harbor is the place to go to book expeditions for snorkeling, diving, or swimming with dolphins. If you prefer not to get wet, you can charter a boat with a glass bottom to observe the excitement lying below the water's surface. 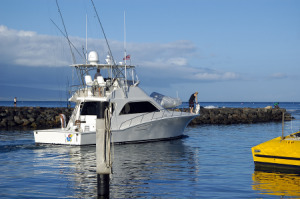 Lahaina Harbor is conveniently located off of Front Street, which has a story and presence all its own. 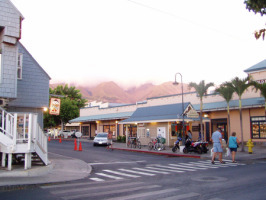 Lahaina's true treasure is Front Street, which the American Planning Association ranked as one of the "Top Ten Greatest Streets" in 2011. This award stemmed not only from the picturesque views and revitalization efforts along this landmark, but also from the history of the street and it's present-day amenities, like art galleries, shopping venues, and restaurants. You can do anything on Front Street, like eating ice cream while people watching, or shopping while enjoying live music. If you visit Lahaina in the fall, you're in for a special treat;the Halloween celebration on Front Street is a gigantic costume party mixed with Mardi Gras, especially as the night progresses. There are parades and a costume contest. Bring the kids for Halloween fun early in the evening, then tuck them into bed in your Lahaina beach house rental and return to Front Street for some more grow-up fun as the night wears on. The Lahaina Historic Trail is a self-guided tour that explores the roots of the region through the 20th century. As you walk along this trail, you walk through history, since you see the timeline of Lahaina's rich Hawaiian heritage as it progresses from the 16th century, to the beginnings of the Kingdom of Hawaii, through the modern influences of Asian and European laborers that are still felt in Lahaina. There are a number of plaques that line the trail, giving a brief history of each historical site. If you have an interest in the history of Hawaii, this in one attraction that you won't want to miss. Lahaina offers travelers the sun and sand that bring so many vacationers to Hawaii each year, but it also provides unique experiences that you won't find anywhere else. Rent your Lahaina beach house today and get ready to make some memories!